Eleanor (Anjelica Houston) and Jane (Cate Blanchett) in The Life Aquatic With Steve Zissou (2004). In the past few weeks, Hollywood has come forward with revelations about sexual assault by film producer Harvey Weinstein. Several actresses confirmed to have been assaulted by him but kept silent out of fear of being shut out of the film industry. It’s up to men to take responsibility towards women in film. Not only in regards to sexual assault but also when it comes to the representation of women in film. The main problem is that women are not taken seriously enough in the film industry, which makes it easy for men like Weinstein to take advantage of them. This article will not be about sexual assault in Hollywood, but about another part of the problem, which is the inability of many male directors to think outside their own gender. One of the most popular directors of the last few years is Wes Anderson. Lots of actresses have great parts in his films. Look at Gwyneth Paltrow, Angelica Houston, Saoirse Ronan, Tilda Swinton, Frances McDormand, and Cate Blanchett. There are a variety of women in his films, they have agency and are well written. But, Anderson’s main characters are always male and the women are always in a minority. 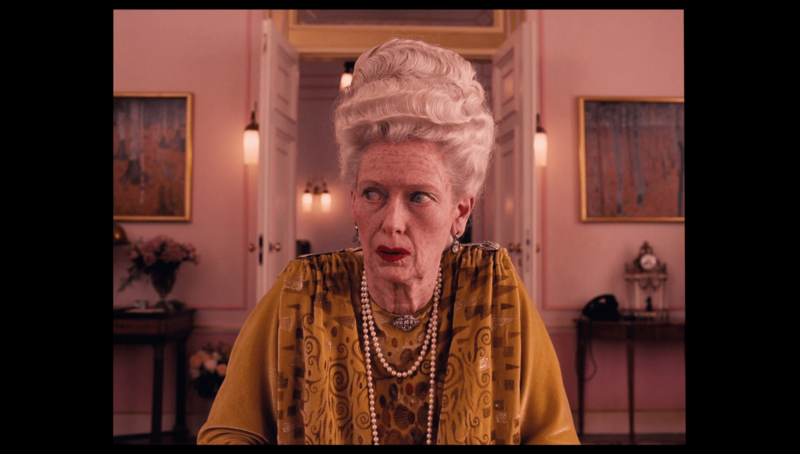 Madame D. (Tilda Swinton) in The Grand Budapest Hotel (2014). It isn’t the inability of Anderson to write parts for women. Wes Anderson writes them and he writes them well, he just never made a female lead. It’s the unfamiliarity with the female gender that makes Anderson, and many other directors with him, write about men. But other directors do better. In Denis Villeneuve’s Arrival (2016), Sicario (2015), and Incendies (2010), the leading stars are female, well-written characters. Even in his latest film, Blade Runner 2049 (2017), he shows that many supporting roles can be female, like the roles of Robin Wright and Sylvia Hoeks. Another director might just as easily given those roles to men. But she also made Somewhere (2010), in which the lead is male and Lost in Translation (2003) was about both Scarlett Johansson as Bill Murray’s characters. So if she can write good male leads, why can’t Wes Anderson? Why can’t a director who has already written good female parts and has a crew with a lot of women, write a female lead? And many other male directors with him? It’s probably because they’re not used to it and aren’t encouraged. Lots of directors are starting to see that women don’t need to just be housewives, beautiful sidekicks, or mothers. Or that a female cast will only attract women. And even if it does: Women are a half the population and frequent visitors of cinemas, and binge-watch more television shows and movies than men do. Change a male role for a female one, even if it might cause outrage like it did in the case of Ghostbusters. Don’t see women as ‘distractions’. And don’t see men as deliberately trying to avoid women on the screen, they just need a little help.